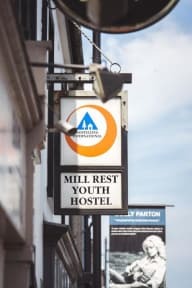 Quality award winning Mill Rest Youth Hostel is located in the centre of Bushmills, best known for its world famous Irish whiskey, on the North Antrim Coast. 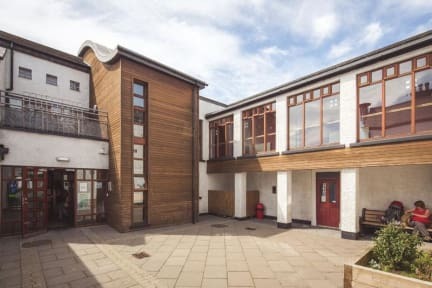 This purpose built modern hostel has spacious, comfortable ensuite bedrooms in a range of sizes. The Old Bushmills Distillery is within a 5 minute walk from the hostel and the Giants Causeway World Heritage Site and Carrick-a-Rede Rope Bridge are just 2 miles away. Un buon ostello proprio in centro al piccolo villaggio. Niente più che una base per esplorare il circondario, con stanze tranquille e servizi essenziali. L'atmosfera non è granché. Il prezzo è un po' troppo alto. si trova al centro di Bushmills vicino al supermercato e ai pochi locali, di fronte alla fermata del bus. a 15 minuti di auto dalla Giant's Causeway. camere belle e pulite. personale poco d'aiuto nel dare informazioni. locali grandi e belli, cucina attrezzata e lenzuola comprese nella tariffa. The hostel is in the centre of the small town of Bushmills, right location if you want to take a bus and explore Giant's causeway bay! The rooms are not so clean and so are the shared spaces, but it's ok if you stay there just for a night or two.